CyberPlat, a electronic payment processing and distribution company for financial institutions, service providers and retailers. The company provides multi-channel solutions that are comprehensive, innovative and cost-efficient. 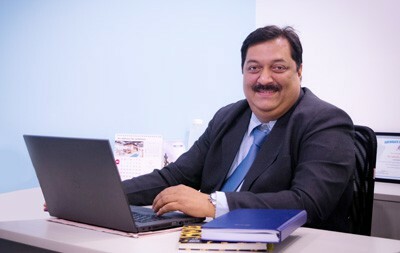 Alok Jha, Managing Director, CyberPlat India talks about his company and their focus areas, strategies and future plans . We have remained focused and that has been our strategy since inception. We have not meandered from the core; avoided being a part of the rat race. Our growth strategy has been very simple: to build long-lasting, trusted relationships with our partners and clients. We strongly believe that it is our duty to provide best services to our existing clients and to keep introducing new products & services for new as well as old customers. How your solutions help IT organizations/people? We are a multi category distribution company offering a large gamut of products and services to our partners and clients. We enable our partners to add multiple categories of products in one go, helping them grow their business faster. Our solutions also help companies to connect with over 50 companies in one go, thereby saving time and resources. What are the recent developments at the company? CyberPlat India is on an expansion mode. We will soon begin operations in New Delhi, which will be our second office in the country after Mumbai. We are also adding more innovative products to our basket and will have some interesting solutions for creating a bridge between online & offline market. Apart from this, the company is also associating with multiple channels to help partners avail more offers and benefits. What steps are you going to take to tap the growing need of efficiency? For us the key focus area for growth efficiency has always been efficient operations. I believe if the operation front is strong, then financial efficiency also increases. And, we have managed to stay profitable for consecutive four years, when companies in our industry have gone through closures. What edge do your services offer to customers? CyberPlat is India’s fastest growing service gateway platform offering a multi category distribution network to its partners. We offer secure and reliable services ensuring high uptimes, 2048 bit electronic digital signature encryption, disaster management services along with technology that can work on every platform, with any partner. Apart from these, we also offer self-service kiosks, POS terminals, cash desks, online and mobile solutions that can be deployed in any technology and market. We have over 300 partners in the B2B as well as B2C space including retail, mobile apps and e-commerce portals. Also, we help new partners with a single platform for various digital payment products, enabling their businesses to function faster. Which companies do you consider as your competition in the Indian market? We differentiate ourselves from competition by way of service, technology robustness and spread of services. We also ensure high degree of security of transactions and are the only company to provide 2048 bits EDS facility. Our aim is to be the one stop point for all service requirements in the country. Our only competitor in India is Euronet Worldwideand Oxigen primarily. Have you come across weak points or what challenges you face in the market? When we were setting shop in India, the Indian Payment Industry was just starting and there were many players operating in the same space trying multiple things. We decided to stay focused and so our challenge was to build the organisation ground up and staying profitable. We did face competition and dealing with established players was the toughest. There was also a threat from unorganized and grey markets. They were driving the B2B market with devices and portals and our challenge was to permeate the market. But, our products and services were all ready and relevant to the Indian market requirements and our APIs were strong to win business. We have been successful in creating our own niche. Any tie-ups to be announced in near future? We are on an expansion mode and are associating with multiple channel partners, service providers from various industries. What are the business expectations and targets that you have to set out to meet in Indian and Market outside India? In India, CyberPlat has been growing at a steady pace with clear focus on bottom line. Due to our focussed efforts, we have been successful in remaining profitable and this has helped the team stay positive. Internationally, CyberPlat is in consolidation phase. CyberPlat is growing at 100 % y-on-y. We will soon open our second office in India in New Delhi and expand our team strength. We will also be introducing new, innovative products and services this year and also, increase our distribution network, both, geographically as well as in terms of partnerships. We offer secure and reliable services- Alok Jha, CyberPlat India 0 out of 5 based on 0 ratings. 0 user reviews.